Creating photogrammetry outoputs from drone derived imagery is well established and readily available using drones. The use of photogrammetry does seem to be on the rise as cleints realise the benefits of being able to obtain a wide variety of outputs quickly and cost effectively. Accuracy is often a topic of debate but with care the correct results can be achieved. This short blog covers how we deliver the required accuracies. Over the Christmas /New Year Holiday I always seem to do those once in a year jobs - having a good clear out. This year I have been taking it a bit furether and not just leaving it an annual task. It has become an ongoing "Project". I don't like clutter and do like to be organised (typical traits of a Virgo) so I am endeavouring to rid myself of unnecessary clutter, this includes electronic data and information as well. Most of this is a physical process and I have done a lot over the last 6 months. My aim this year is to take greater care with the written word. Whether it is email, making notes, drafting a planning statement, writing a report, editing a video or writing some form of manual I am going to make an effort to make it concise and succinct. In addition I will be reviewing my UAV Operations Manual and seeing if I can or need to de-clutter it. Earlier this year the CAA introduced various new rules for drone operators. Two key revisions were height restrictions and the 1km exculsion zones around airfields, known as the "Outer Zone". Many commercial drone operators commented on the later suggesting that instead of having a 1km zone around the whole airfield that it would make sense to extend the area out along the centre line. That didn't happen. I have recently been commissioned to fly a site close to East Midlands Airport (EMA) which I know very well as I have managed a property with a common boundary to the airfield. EMA have granted permssion for the flight for a site which lies just outside the "1km" area. In preparing a Pre Flight Assessment I have discovered that the 1km area as shown on the NATS app isn't accurate. Why is the area defined different to the definitions in CAP1687? This Autumn has been busy with a wide variety of drone surveys. Within the last month I have completed seven surveys and have encountered a wide variety of ground conditions. In this blog I take a closer look at the impact vegetation can have on volumetric surveys. Last month I attended a two day course presented by Andy Carman from ARC Aerial Imaging and hosted by Ely Aviation. An excellent course, a good and enthuasiatic group of attendees and we also did some flying. Read more about the course here. Well after all I am a bit older, it is 10 years since I started Everything is Somewhere and I therefore have treated myself to a new bike, a Riese & Muller Roadster Touring HS. Here are my thoughts after the first week of ownership. I am an "old school" surveyor. Like most surveyors I love maps, old or new, I also love technology. My aim has always been to use technology to make my working life easier and to be more efficient. Effective use of time becomes very much evident when you operate as a small company or sole trader. Sadly you still still so time watsed (in meetings??) and lots of procrastination. I also, all to frequently, work with clients who at best have average and sometimes poor or very poor property records and information. You can see how inefficient this becomes and a burden of time and sometimes limited resources. This blog is therefore about property records, or the lack or them. A bit of an understatement this high with the prolonger heatwave. I was thinking more along the lines that we are into the holiday season when the phones and email goes quite and there is time to catch up. My thoughts and learning from the CLA Connectivity Summit held in London on June 19th. The time when something useful is right under your nose. Having attended the ESRI User Conference I discovered that I have access to an App called Survey123. I have started using it and it is fantastic, a real time saver. Pre Application Advice, useful, but are Planning Authorities Consistent? 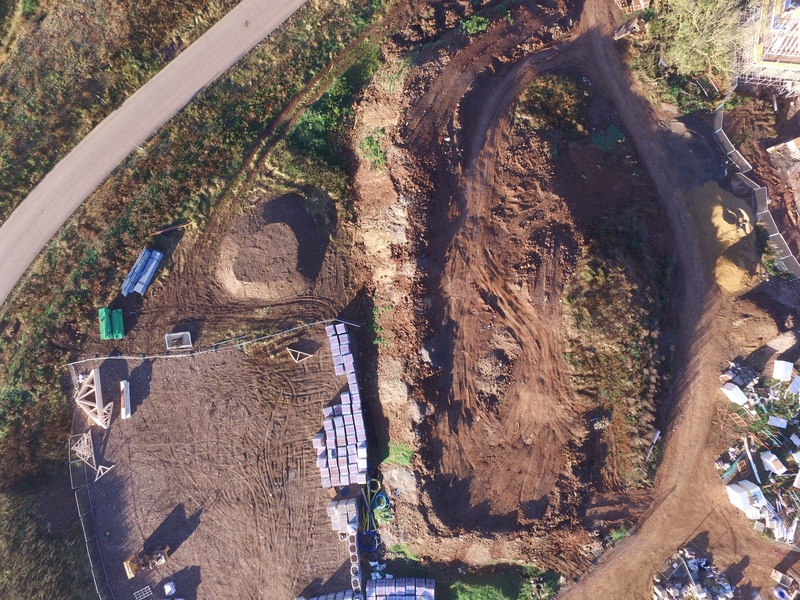 Much has been written on how to undertake volumetric surveys with a UAV and whether "Ground Control Points" are needed to achieve accuracy. I conducted my own experiment using a real life project. Everything is Somwhere regularly integrates GIS and UAV derived data. However by using some of the many capabilities of ESRI's ArcGIS and ArcGIS Online it can really help the workflow. Conservative Manifesto proposes mapping who owns all of Britain for the first time. Exactly the same idea as promoted in the "Socialist Worker". What then? Stakeholder Engagement - from Village Hall to "Story Maps"
Data - A Cost, Investment or Worthless? Why it is important when undertaking mapping work to have accurate data. I have a client who owns a property in the Borough of Oadby & Wigston (South Leicester). Of the aspects I needed to research was the planning history of the property, ascertain if everything has the relevant planning consent and explore alternative uses. In the vast majority of cases this isn't an onerous task. In this case it was a completely different story. EU Exit - Has "Newty" had it's day? For many years I have understood that the ubiquitous Great Crested Newt is protected in light of it's scarcity across the EU despite it being found on a significant number of development sites across the UK. If we leave the EU does "Newty" have a less protected future? This initiatve was launched earlier last year as a means of kick starting the availability of starter homes for people under 40. The idea is that it would help release sites on unviable or underused commericial and industrial sites, commonly known as "brownfield land". Unlike other intiatives to stimulate house building such as "Help to Buy" this proposal makes changes to the underlying planning system to allow these sites to be brought forward for development. I am a member of quite a few professional bodies including the RICS, Central Association of Agricultural Valuers, Institute of Quarrying, Association for Geographic Information and have just joined the Association of Remotely Piloted Aircraft Systems (ARPAS). I have been a member of some, for example the RICS, since qualifying in 1983 and others for a much shorter period. In that timeframe we have also gone from writing letters to instant communication via the web and social media. I confess I can be a bit of an IT junkie. I enjoy exploring new ways of working, finding new and innovative hardware and software. Not everything is what it is cracked upto be or maybe not just right for me but there are times when you have that "Wow Factor". During the course of the past 12 months I submitted a number of planning appilcations, became invloved in a planning appeal and made submissions for a new "Local Plan". None of these were large applications but more the day to day grass routes applications. However the process remains the same. Not an area of work I am actively enagaged it but one that interests me. The roll out of renewable energy has (and still is) a bit of a roller coaster ride. The feed in tariffs change, planning challenges remain and policy changes all leading to uncertainity in the sector. Whilst all this is going on there has been a huge increase in renewable capacity and in particular with wind energy and solar power. There still remains all manner of issues and added to the generation problems we also need to add difficulties in securing connections to the national grid. Many proposed solar farms have stalled because it has not been possible to secure the necessay coonections. I attended an excellent planning seminar this morning at Browne Jacobson's Nottingham office. Three topics covered and some good discussion. We had an update on contaminated land, CIL and how it is so inflexible and the emerging ideas on Starter Homes. Like many others I think this story is going to run and run. Probably of greater significance is the impact commercial vehicles have (or not) but that has yet to be reported. The scope of damages is potentially huge not only with regard to reputation but also financially. Little has been said yet on the taxation issues in particular with regard to company cars and benefit in kind. Surely lower reported CO2 figures will have resulted in a skewed market as company car drivers choose lower polluting cars and therefore paid a lower tax. Having passed my flight test and submitted the paperwork to the CAA I am now patiently awaiting my licence. During the course of the training other students were seeking clarification on where they could fly and we also considered various case studies. I have always had an interest in flying having previously held a PPL so drones were always of interest. However would I be investing in a drone for personal use or for work? The answer to the above is that they are both a boys toy and something rather useful, and yes I am going to be using it for work. In January this year I wrote a blog suggesting a new idea. Simple in its approach whereby I suggested that every community should be allowed to grow by 5%. The idea was that this would spread the pressures of building UK housing stock, avoid the big new estates and at the same time improve the quality of developments. A few days kayaking on the Norfolk Coast prompts these thoughts on energy supply. Having wild camped on the coast under clear skies the full extent of the relatively new "Sheringham Shoal" windfarm really struck me. Whilst on a clear day you can see the turbines at night each one is identified by a red navigation light, there a lot of them. Why does everything take so long? In the world of property management and in particular planning a lot of what we do takes time, a lot of time. The question is why and how can we change this? Over the years I have become less enamoured with conferences and seminars. Maybe I was going to "annual" events and therefore exposed to similar topics, similar themes and maybe similar outcomes. As always though it was good to catch up with friends and colleagues. I do have sympathy for the conference organisers as it must be difficult to constantly re-engineer and make their conference interesting. 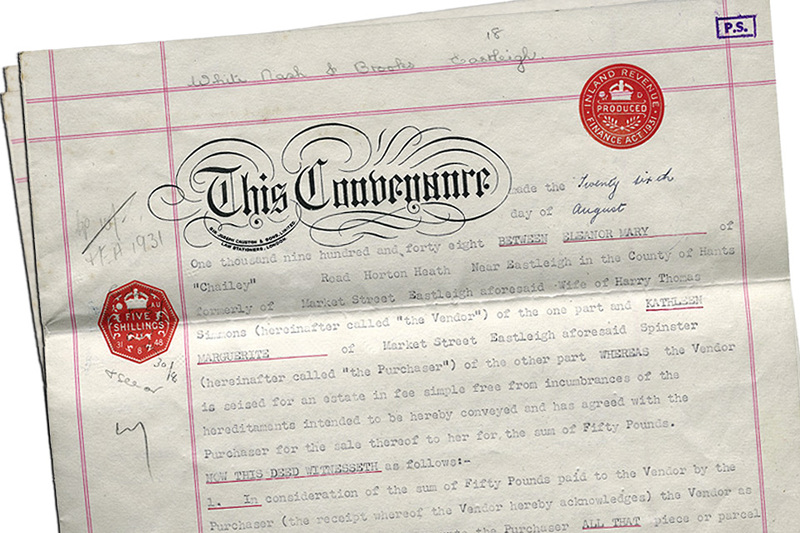 EiS Property (i.e. me) has had a busy few months. Much of my work over the past year has revolved around submitting and planning applications and hopeful securing some consents. With over 20 years experience in property I have been involved either directly or indirectly with the submission of hundreds of planning applications and I have been lucky, the majority have been approved. Yet whilst it is a technical and legislative process the final decision in many cases is down to the show of hands of the planning committee. That's when it is completely out your control and on occasions quite emotional. Jeremy Clarkson has been visiting Russia this week researching the important role the Artic Convoys played in World War 2. A documentary is to follow and I am sure he will make it quite plain in his own unique style that successive Government's have been lamentable in not awarding these brave men medals. After 70 years they still haven't be recognised. Al Murray has done similar work in getting the Government to recognise some of the remarkable feats our armed forces achieved and again asking why for so many years they haven't been recognised. The "horse meat" scandal and in particular the story how Romanian horses landed up on UK supermarket shelves got me thinking. Where does everything I purchase actually come from? To find out I kept details of everything I purchased for a whole week. I then mapped it. The new Planning Documentary on BBC2 has raised some interesting aspects of the planning system. Most commentary I have read so far is focused on the make up of Planning Committees and in particular the age profile. I guess that it is an altogether bigger problem as quite how you attract younger people into local politics is a national problem. The media has been busy reporting the planned HS2 project over the past two weeks. The first thing which did strike me was how the whole scheme wasn't leaked, so well done to them. Information Technology can be both a savour and equally a frustrating time wasting burden. Using IT effectively does enable the individual to make the best use of your most valuable asset, time. A number of years ago we were all lead to believe that IT in it's broadest sense would allow us to work in the paperless office and make us all very efficient. There are times when you do wonder if the IT solution takes much longer than simple technology such as pencil and pad or a phone call. It doesn't really matter what the development is, a wind turbine, HS2, a fracking site, an urban extension or even a new "city" the common reaction is "I am not against growth but I don't think the development is suited here". In most cases it is personal, it is change, it impacts your day to day life, it may reduce the value of your property. I am not going to dwell on this but will say why on earth don't we have an equitable compensation system. In the context of the construction cost for the big infrastructure projects the % of the total property compensation relative to the project cost is low.